Our Web Hosting Plans Exceed your expectations, get the latest technology in web hosting industry. Host your websites on our optimized servers, for maximum performance, reliability, security, and uptime. Just like the way you need a computing device like a laptop, desktop or workstation for day to day activities. Websites need computing power and resources to be online. Unlike desktops, laptops and workstations which you use as needed. Servers shall not stop, and they have to run 24/7 and 365 days. Depending on the framework or programming language of your website or web application. Web Servers are two types based on the operating system they run. The most widely used operating system for a Linux based web server is Centos followed by Ubuntu and Debian. We use RHEL / Centos with Cloudlinux and CPanel. 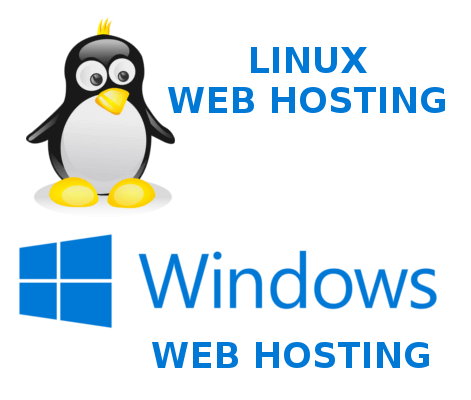 Linux web hosting is widely used to host websites of all kinds. It supports most programming and databases systems. Except for Asp.net which purely works only on Windows servers. Major websites you browse every day, are hosted on Linux web hosting. Linux is most secure, portable, reliable and open source operating system. The developer community loves using distros for most projects. Windows Hosting or servers run on Mircosoft Windows operating system. It is an option when your website or web application needs Windows operating system, programming, and database system. Windows servers are not efficient in running websites programmed in PHP and other open source languages. They are right to run ASP.Net based websites and web applications. We are not offering Windows web hosting. Shared Hosting: Most commonly used by almost 75% of websites around the internet. In shared hosting, a bare metal server resources are allocated among the users. The main point is to distribute the cost among a large number of users to maintain one server. Less cost for the individual user. Not for power users, who need full control over server. If your hosting provider oversells or overloads the single server, your website will experience slow speeds. Any malware or virus attacks that affect one account or user may also spread to your account too. Less security and privacy for you. No way to install the latest software needed for your website and web applications. VPS: VPS is called Virtual Private Server. It will better than shared hosting. It comes with dedicated resources for your account and subscribed plan as per hosting provider. Virtual private server is for users who want the power and dedicated resources like bare metal servers at affordable costs. Complete control over the server, including server, reboot and ssh access. Better security when compared to shared hosting. Not for NON-IT users. You are responsible for managing your VPS. An improperly managed server may be vulnerable to security issues. Need a dedicated person to manage your web hosting to make it work efficiently. Costs more than shared hosting, unless you are a power user this is not needed for you. VPS management might cost over the long term than you assume. Dedicated Hosting: Also called Bare Metal servers. It gives you full control over both hardware and software resources. You are renting/leasing a server rack or server altogether for yourself. It is for websites or applications that need to be hosted in an isolated environment. Complete control over hardware and software. High performance, reliability, and scalability. Better resource allocation and configuration optimization as your website or web application grows. Costs, this is the primary concern for majority users. Dedicated servers come with high upfront investment. Needs at least two server administrators to monitor, manage and keep the server running 24/7/365 days on a shift basis. Not suitable for cost-conscious customers and those who do not need dedicated server for their website. Cloud Servers: Cloud servers could be classified as virtual dedicated private web servers. It is like having a powerful machine that offers VPS standard resources for a user. Usually, a cloud server is cheaper than standard VPS hosting. Offers VPS level resources and isolate the system like dedicated server. Per second, per minute, per hour or computing power based billing. Choice of location, OS, hardware resources and bandwidth as needed. Customized configuration as per users needs. Cloud servers pricing is tough to evaluate and estimate. Especially Amazon web services, Google Cloud and other high-end cloud service providers. Cloud hosting might seem like lowest price, but you will eventually end up paying more than a managed VPS hosting. If you do not know anything about server management and you hire a server administrator to manage your server. Cloud hosting does not come with industry-standard control panels like Cpanel, Plesk, DirectAdmin or anything else. You are responsible for installing software and monitoring panel and if they need a license to purchase you need to pay for it too. Web Server setup without any paid control panel: $100 – $250 depending on whom you hire. Monthly maintenance (as needed billing): $50 – $100 assuming that your server administrator charges $10 / hr and your server requires minimum 5 -10 hours maintenance per month on average. If you install control panel, let us assume CPanel: $ 20 / month for VPS. Disk space: 40 GB, Recommended for efficient running. Apart from this, you will need an additional server or instance for backups. Without backups, you are at risk of losing your data if anything happens. So now, we go back to the digital ocean and check the droplet price, now to efficiently operate Cpanel you need to buy $40 / month droplet. Case 1: Digital Ocean droplet with a primary instance( No CPanel). Monthly Recurring: $5 + $50 = $55, just for 512 MB ram droplet without any control panel, backups and no guarantee of server admin monitoring 24/7/365 days. The cost for 1 year: $760, if you are lucky to find a server admin who charges less and available 24/7, manages with 99.99% uptime. Case 2: Digital Ocean droplet with an instance recommended for CPanel. Total cost to get your server up and running for the first month: $40 + $300 + $150 +$20 = $510 +taxes and your invested time to manage the server administrator. Monthly Recurring: $40 + $150 + $20 = $210, for a 4GB ram droplet without any backups and gurantee that server administrator is avalible 24/7/365 days. The cost for 1 year: $2820, if you are lucky to find the best server administrator who is highly available and manages your server with 99.99% uptime. We just did a simple math with low-end cloud server like the digital ocean, and this would also be a case when you use Linode, vultr or similar level cloud service providers. If you wish to host on AWS or Google Cloud or similar high-end cloud service providers with above configuration. The yearly and monthly costs would be 10X more than we calculated above. The main problem is to find a server administrator who can work only for you, which is a complex task. Cloud services are not for an average company which wants to get online with minimum or budget investment. We are in hosting industry for over 6 years, before starting our hosting services. We have hosted and managed our client’s websites while developing for them. We used every kind of web hosting companies out there and every type. Shared, VPS, Dedicated and Cloud servers (including AWS). We found that we need to offer the best servers possible for the money you invest on hosting your website. Our Data centers are located around the world. We work with enterprise datacenters and make the best resources available for you at affordable price. Our current data center is located in Canada with clusters ready to host large websites and highly scalable to accommodate customers as we grow. Get privacy protection with canadian web hosting now. Priced as low as shared hosting, but resources equal to a standard entry level VPS. We use Litespeed web server, and it will improve web server performance. We use full SSD (solid state drive) for storage, this makes I/O performance improvement. MariaDB as MySQL replacement which improves database performance to the maximum. Multiple PHP Selector eliminates the need for the server reboot. Select from various PHP versions and apply in a single click. LetsEncrypt integrated with CPanel interface. It provides 1 click SSL installation for all the domains attached to your account. Cloudflare integrated with the control panel. Just click to add security and performance without changing DNS. Your data security and privacy is important to us, we have physical and software based security to keep you safe. Automated daily backups come standard with all our hosting plans. Our Managed hosting plans are the best in the industry when it comes to the level of customer support, price and resources. Hybrid web hosting plans make sure that every customer is alloted the true resources which are dedicated to account. FREE SSL Certificates are offered to every hosting customer, our ssl certificates are rated A+ by SSLLABS. Our Emails work anywhere, anytime and on any device. We also support PGP Encryption, SNI, DKIM, SPF records and much more. SSH access is also granted on request, if customer needs it. Usually everything is installed in control panel, you can just focus on you work. Best customer support in the industry, in fact you will never get the need to file a support ticket. As our server work like magic with best uptime. We scan account for virus and malware every week, and ensure that your accounts are always in good state. If you are coming from an EIG (Bluehost, JustHost, Greengeeks, Fatcow, etc.. there are more than 200 companies) hosting or Hostgator or Godaddy hosting, you can identify our web server difference easily. Our customers love the performance, we are sure you will love too. All other standard hosting features come with our Managed Web Hosting and Hybrid Web Hosting Plans. We believe that you should host your website with latest security, reliability, and performance servers. At Rank My Hub, we work 24/7 to make sure that our customers get the highest value for the investment. We do not limit your resource or oversell or offer cheap shared hosting, like our competitors. We are not behind money; we are of quality and customer satisfaction. We assure that you would be happy with our hosting services. If you have any questions regarding sales or if you need a custom plan for your enterprise. Contact us now. We are happy to get in touch with you as soon as possible.